Soap it's just an lovely art. Look delicious but cannot eat!!!!! Finish preparing sweet love goat milk soap with jasmine and rose scented full with wormwood and red yeast powder. ... 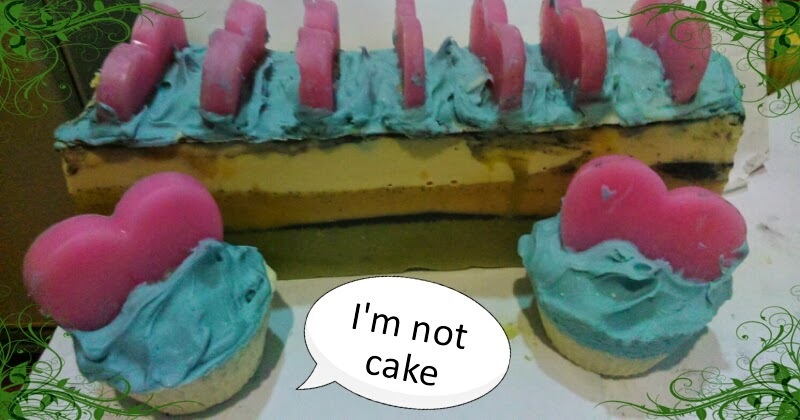 I'm not a cakes lol so cannot be eat only can shower and bath. waiting for curing period for 45 days... muackssssd!!!! Excited ‪#‎love‬ ‪#‎soap‬ ‪#‎ameryllis‬ . Just can't wait to cut my cp soap here!! !!! !